Gone Gone is a Craft CMS plugin that keeps track of updated and removed elements (E.g. Entries) and then returns the correct error template to the user. 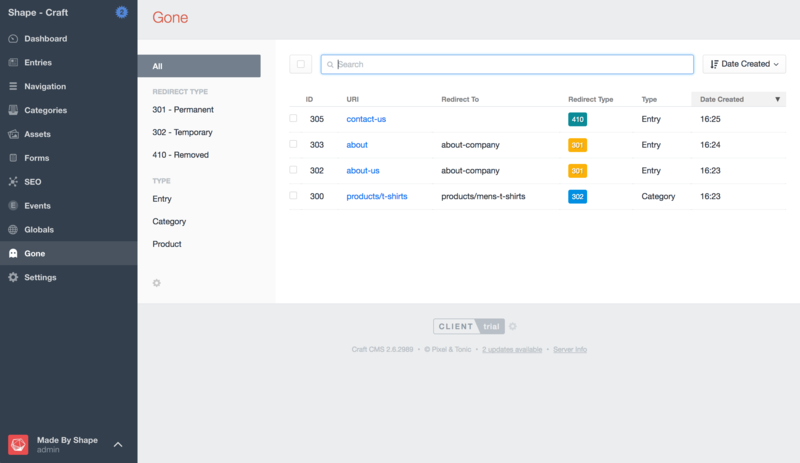 Gone is a Craft CMS plugin that keeps track of updated and removed elements (E.g. Entries) and then returns the correct error template to the user.